"With a strong, focused mindset, there is no ceiling" is a philosophy Shane believes in and lives by. As an experienced real estate agent, his glowing real estate reviews are many, and center around what a fantastic broker he is to work with. Very dedicated, straightforward, easygoing, always efficient and quick to respond are praises most used to describe him, not to mention his sharp negotiating skills that assure dream homes at the best prices. 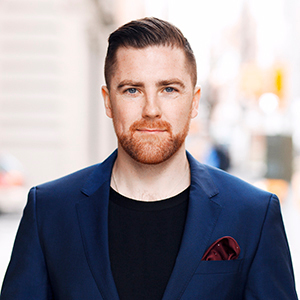 Coming from a construction and hospitality background, Shane naturally gravitated towards the real estate business, which demands his seasoned skills. He has since excelled in rentals, and currently handles nine buildings between Queens and Manhattan that are his sole responsibility, at 100 percent occupancy. His insights and vision are heightened by his knowledge of the renovation process and standard of finishes which is invaluable to his clients. A positive, upbeat attitude and high-touch customer service make the real estate process even more enjoyable and satisfying. Born and raised in Donegal, Ireland, a scenic fishing village on the country's northwest coast, Shane grew up playing Gaelic Football, a native sport he still partakes in. His athletic training has enabled him to develop the great discipline and attention to detail his clientele deserves. Shane holds a Bachelor's degree in Business from the Institute of Technology Sligo, Ireland. He moved to the U.S. in 2012, and currently lives in Astoria, Queens. Personally, he is a dog lover, a volunteer at the Bowery Mission, and an avid athlete soon to participate in the Miami South Beach Triathlon 2019.